A low-profile floor scale and digital weight indicator built for heavy-duty legal-for-trade applications involving a lot of weighing per day are being introduced by Alliance Scale, Inc. of Canton, Massachusetts. The Alliance RoughDeck® Floor Scale and 480 Legend™ Series Digital Weight Indicator from Rice Lake are built for heavy-duty high traffic applications. The floor scale utilizes a full 6” structural steel channel frame welded to a treadplate steel deck to minimize deflection, isolates the load cells, protects the cables, and mounts the junction box in a slide-out tray while the weight indicator has a NEMA 4x/IP66 stainless steel enclosure. 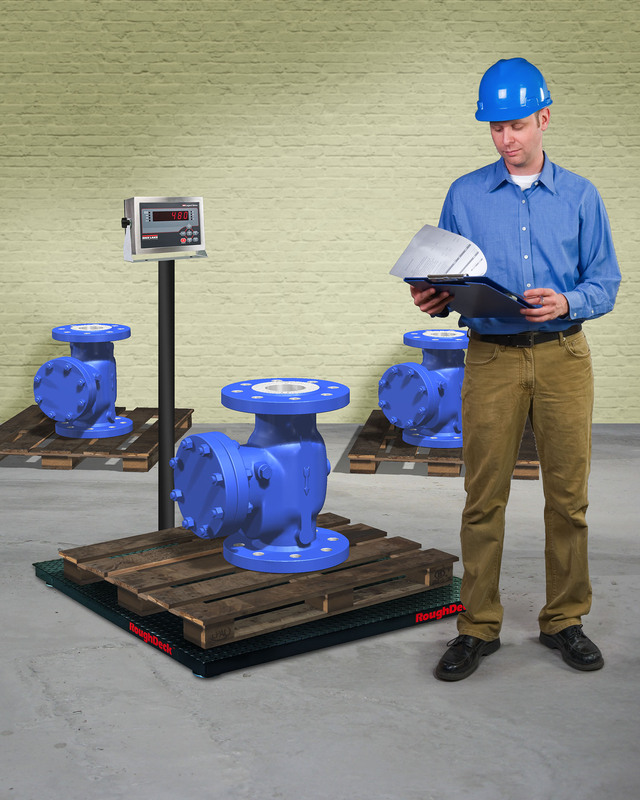 Built to withstand severe loading conditions, the Alliance RoughDeck® Floor Scale is available in 1,000 to 30,000 lb. capacities; made from steel or stainless steel for corrosive or harsh chemical/washdown environments. Suitable for local and remote operation, the 480 Legend™ Series Digital Weight Indicator has an ultra-bright 0.8” LED display, a 6-button tactile keypad, RS232 and 20mA ports, and powers up to ten 350 ohm loads cells. The Alliance RoughDeck® Floor Scale and 480 Legend™ Series Digital Weight Indicator from Rice Lake are priced from $1,795.00.